Sorting Conveyors - Remcon Equipment, Inc. - Remcon Equipment, Inc.
​For efficient feeding of material from an in-ground or above ground hopper. For consistent and safe feeding of material onto sorting conveyor from another machine, bucket loader, etc. For elevated sorting, which allows for larger material collection areas or containers, as well as easier discharge into other downstream equipment. Remcon can build sorting conveyors in many different orientations, depending on the layout requirements, etc. We also can build sorting or quality control inspection stations into other types of conveyors (transfer, incline, take away conveyors, etc.) as needed, if only a small section is needed and a dedicated sorting conveyor is not feasible. The outer side walls of the conveyor are free of all obstructions which may cause injury or discomfort to the sorter. Legs, braces, and base plates are all recessed 4 inches from the face of the conveyor providing unrestricted space for the sorters knees and feet throughout the entire sorting area. The top edges of the conveyor are rounded for the sorters safety and comfort. The conveyor body, designed specifically for sorting, is as narrow as possible – only 1 3/8” wider than the actual belt width. This puts the sorters as close as possible to the material on the belt, decreasing reaching and bending to the minimum possible. Safety is insured by enclosing the belt edges, return belt, head and tail pulleys and all pinch points. The return chute collects all debris that clings to, then falls from the belt keeping work areas clean and safe. The debris is collected in a clean-out at the tail of the conveyor. The extra strong formed tubular construction is very rigid. This allows a minimum of support legs that can interfere with cleaning, bin and chute placement, etc. Optimum combination of flat center belt section and raised outer edges allows material to spread out properly without abrasive debris collecting underneath the belt. This design also allows for the most material to be spread on the belt for ease of sorting without spilling off of the sides. The drive system speed control allows adjustment to the rate of flow onto the sorting conveyor for the most efficient picking under a wide range of conditions. Replaceable parts - The bearings are commonly available pillow block style. The threaded working parts of the take-up are commonly available from local fastener or hardware stores, and replaced easily. 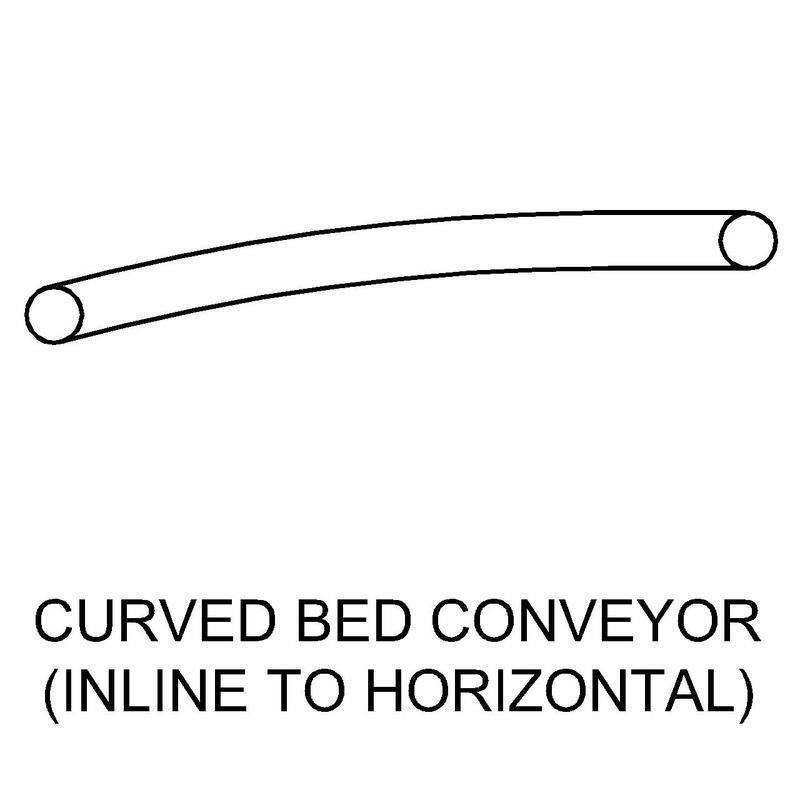 Take-up travel - Generous length of take-up travel: 10” on the shorter conveyors, up to 18” on the longest. 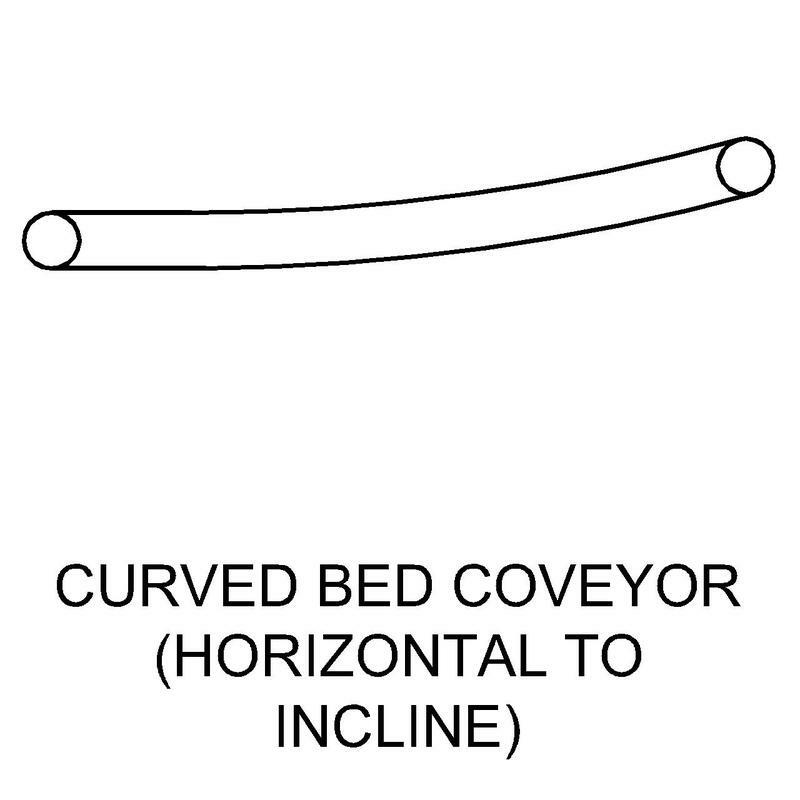 On Slider bed conveyors, the belt will be cut so that the majority of the take-up is used for ease of belt installation, repair and replacement, since good quality belts with polyester carcasses have virtually no stretch after initial tensioning, and in some cases will shrink slightly. Ease of adjustment - Belt tracking and tension adjustments are made at the tail pulley with one wrench, with no need to loosen and re-tighten the bearing attachment bolts. The moving parts of the take-up have generous amounts of clearance, to prevent binding in the frame or against the bearings (side load) as the take-up moves through its full range. The head pulley is equipped with additional tracking adjusters. Versatility - Remcon take-ups will accommodate almost any brand of bearing, in the most common, pillow block style. Steel tube construction, with height adjusting devices that also provide accurate leveling. High strength, moderately oil resistant rubber (MOR), 1/8” or thicker top cover with slider surface bottom cover, tensile rating of 330 pounds per inch of belt width. 3-ply woven Polyester carcass prevents future stretching after belt is first tensioned. 3/4 inch high cleaner cleats continually wipe debris from the return pan, and deposit it in a cleanout area at the tail of the conveyor. Only 2 or 3 cleats are required per conveyor. For certain applications where these cleats may cause an interference, idler pulleys and other options are available. Flexco R2 – A very common heavy-duty rivet style lacing. Available in galvanized steel or MegAlloy®. Flexco 375 – An alternative heavy-duty lacing option that is attached with bolts, rather than staples or rivets. This lacing is long-lasting and resists damage. Remcon sorting conveyors are equipped with totally enclosed, fan cooled motors with variable speed drives. Guards covering clean-out / inspection holes that are located in the sorting area are flat and smooth for sorters to lean against. 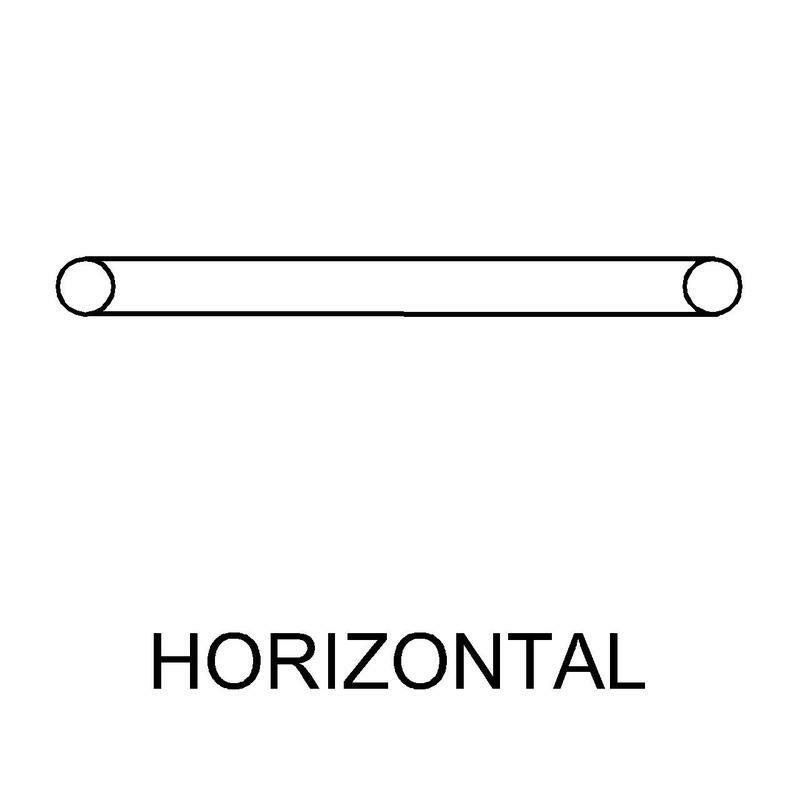 Various options are available for dividers (steel “partitions”, suspended above the belt), which allow one conveyor to carry more than one separate stream of material. Many options are available for pitch hoppers and drop chutes, including 2-way options to divert material two different directions. Extensions – If needed, sidewall extensions can be added where material depth is greater on the sorting line. Doors – If walls are needed for greater material depth, but sorting is required only at certain times, doors can be provided at sorting stations, to be opened only when sorting. Special design – many options are available for side wall height, troughing design, etc.